iPaddle crafts (kayaks and paddleboards) are available by reseervation only. Pre-booking allows us to prepare the right paddle craft and accessories and have all items waiting or delivered to you for you or your group so you get on the water right away. We can accomodate a wide variety of interests, body types and uses. From sunrise to sunset and everynight. Review our fleet and accessories below and then book your rental, tour or event online. Or call (305) iPaddle or (305) 472-3353. Calling all anglers … this is the only kayak design in the iPaddle fleet that can support a full grown adult in a standingf position. Perfect for casting lines and observing schools of fish on medium visibility days. The Sport Fisher had adequate storage for your fishing gear, lights, another paddler or two and (of course) your catch! 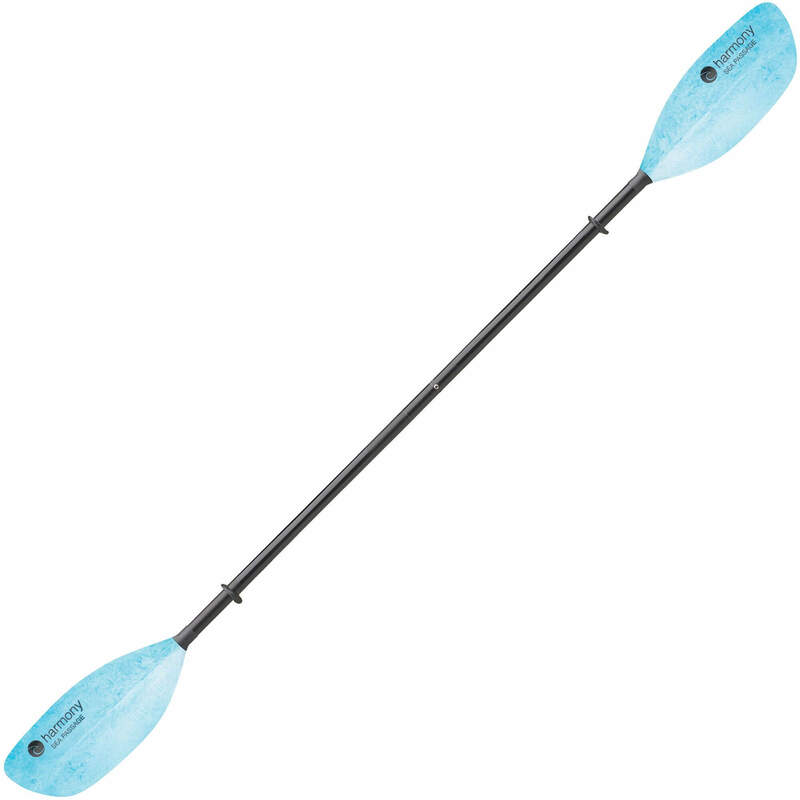 So that you can easily go “hands free”, this paddle craft has fixtures to snap fit two oars on either gunwael. 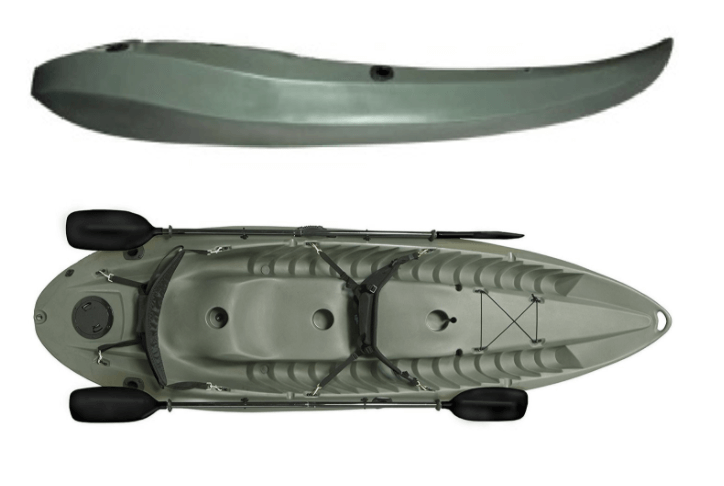 This boat defines the standard iPaddle single kayak; versatile, forgiving yet high-performance at tracking, handling chop and wakes and highly maneuverable. The key to this craft’s prowess is its tri-hull construction: a series of moldings and groves from bow to stern that makes the boat accurately translate your instructions into movement. All of this, along with great storage and stability characteristics, make this boat the ideal choice for paddlers of any skill level. An excellent choice for general fun and exploration in the bay. Sleek and sporty, the Tetra is perfect for medium build paddlers who want to cruise the bay in comfort and style….. Compact, good-looking and easy to maneuver this option is equipped with one of the comfiest seat backs in the iPaddle fleet. Nimble and fun – perfect in a variety of water conditions, it also has adequate storage to carry your beach towel, picnic bundle or BBQ gear to and from one of the bay islands. The Triumph, simply put, is a the Velosa Raptur of the iPaddle fleet. This high performance craft combines several characteristics from racing-specific, fishing-specific and surf riding craft to make it the ultimate hunter. When you take out a Triumph you will be among the fastest paddle boats in the bay, with unmatched manoverability to boot. Remarkably, this boat also comes with storage bays and fishing-related fixtures so you can mount fishing rods, fish finding electronics, an anchor system and snap-fit your paddle to go hands free the second you spot dinner swimming beneath you. 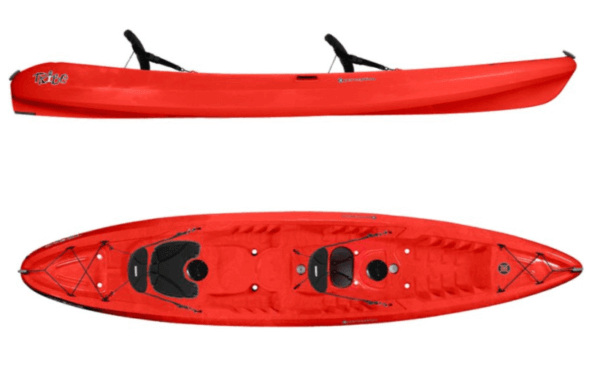 We recommend this impressive option for slightly more experienced paddlers who expect to be out on the water for extended fishing, diving and touring forays in the bay, along the coast or up Miami’s many rivers or water ways. 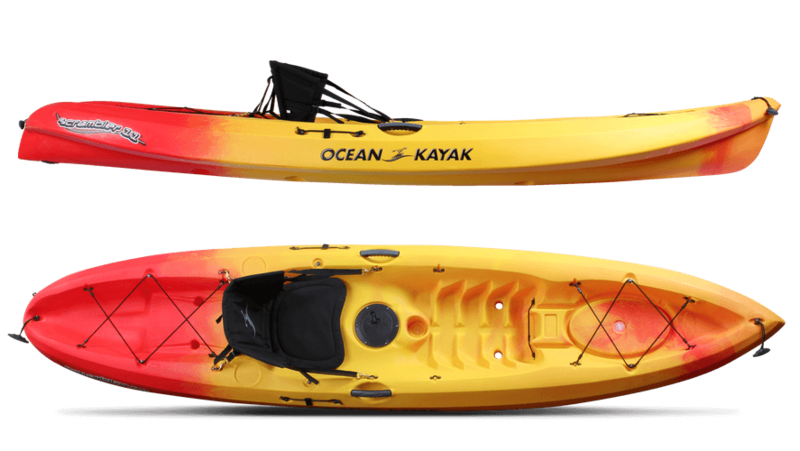 We invite you ride this double-seater, a true sit-on-top kayak that boasts a comfortable combination of manoverability and tracking/touring capabilities at any skill level. 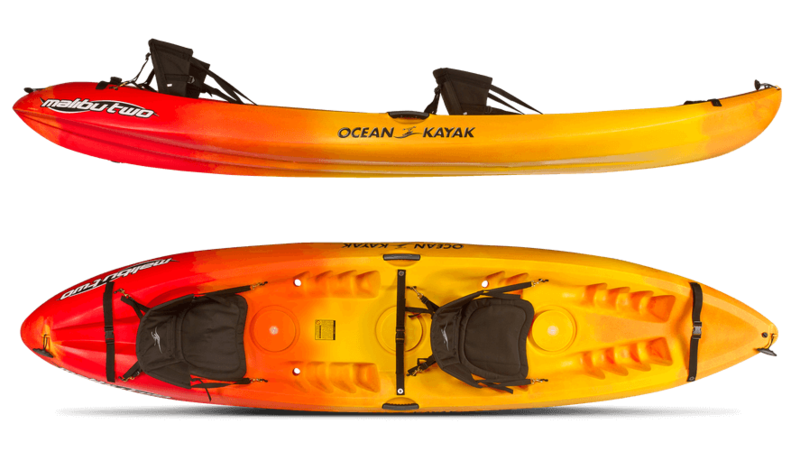 A relatively stable platform that can manage up to 250lbs means that “three’s company”: this kayak can seat two medium-sized adults and potentially a small child or pet. Enough storage for a fully-loaded picnic basket for your half day-rental or night tour with friends or loved ones. 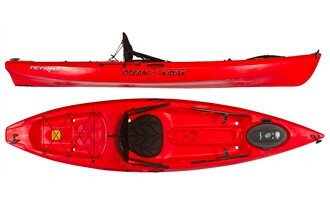 Currently, the most popular compact tandem sit-on-top kayak in the world. 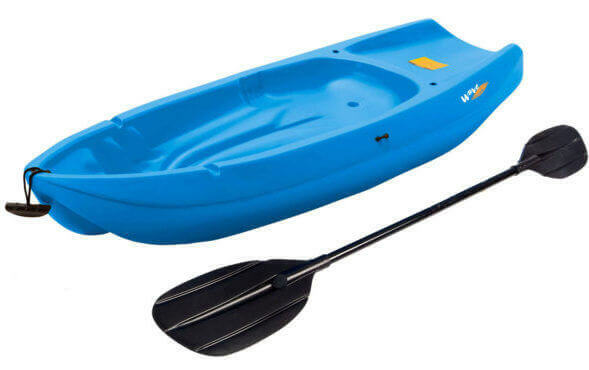 Stable and versatile, it can be paddled solo loaded with equipment or tandem. 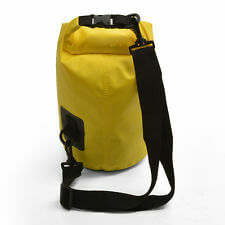 Fits two adults plus a small child or pet and a light pack with food and beverages of your choice. 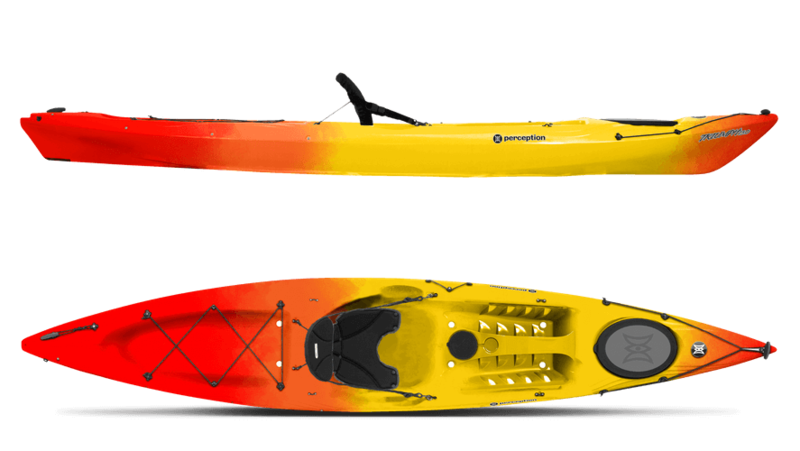 The SUV of double-kayaks, we recommend the Abaco for larger paddlers of any skill level or those with particularly heavy cargo. Calling all anglers … this is the only kayak design in the iPaddle fleet that can support a full grown adult in a standingf position. Perfect for casting lines and observing schools of fish on medium visibility days. The Sport Fisher had adequate storage for your fishing gear, lights, another paddler or two and (of course) your catch! 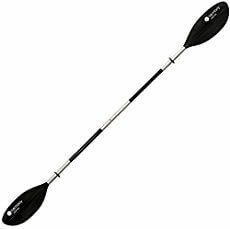 So that you can easily go “hands free”, is paddle craft has fixtures to snap fit two oars on either gunwael. 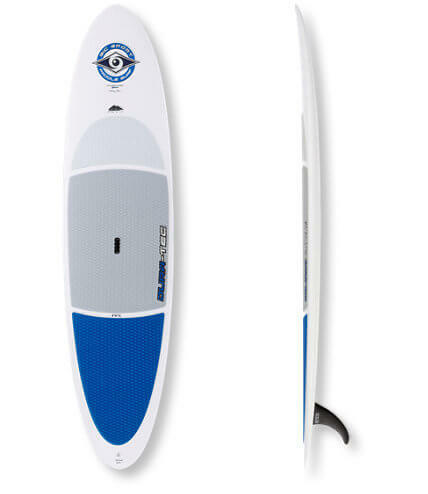 This Standup Paddleboard (SUP) is suitable for use in wide variety of conditions. Originally designed for beginners and intermediate paddlers it is a forgiving platform that provides stable performance in calm water as well as when surfing off shore on small waves. It’s our go-to SUP on many first-time rentals. The DURA-TEC series is generally agreed to be the most heavyduty-rated SUP in the market, with dense foam to absorb shock and carry riders up to 260lbs with relative ease. Designed by Peter Hoskins of Australia and tested by surf legend Peter Pan. This SUP is a “ride everything go anywhere” platform for light-weight paddlers, making it a highly versatile board that performs exceptionally well in waves for riders up to 180lbs. The board also has better than average performance for medium-weight riders, up to 220 lbs. 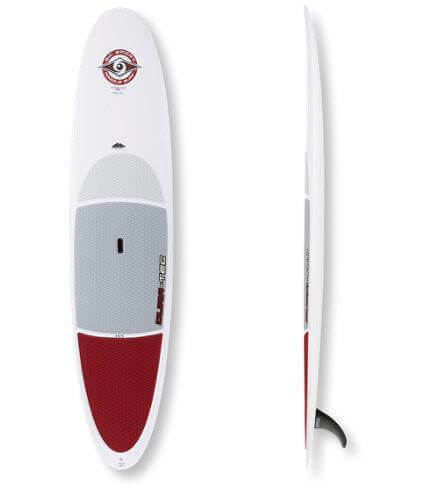 since it employs a balanced rocker profile and progressive bottom contours that lend themselves to surf performance without sacrificing flatwater glide. Like it’s larger DURA-TEC cousin it sports a composite of a polystyrene core covered with glass fiber and epoxy followed by a thermoformed finishing coat making it rigid and highly knock-resistant. Ideal for riders looking for similar stabilty to the DURA-TEC with more maneuverability. 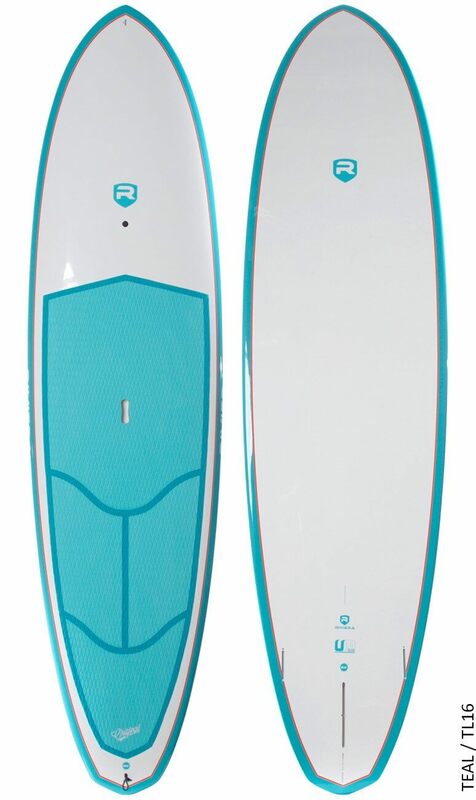 This Riviera 10’6″ paddleboard is a perfect board for first time paddlers – and fits well with the iPaddle statement “NO EXPERIENCE NECESSARY”. Its a very stable cruiser that comes with acceptable traction. For those out on a choppy day – or off the coast – its slightly pulled-in nose and pinched rails make for better maneuverability in the surf. One place where all Riviera boards stand out is that they are made from a environmentally friendly process that results in zero foam waste making them a great fit for more conscientious riders. The Lady SUP is an ideal board for the intermediate or advanced lady paddler who wants to be able to ride the bay with ease – and look good in the process. The board features a displacement hull construction to keep the rider up and out of the water and is made of Aussie Pine for uber-lightweight carriage and turn-on-a-dime maneuverability. When you rent or tour with iPaddle we issues your group with one of these to protect keys, phone and other items you want to keep dry while you are on your kayak or paddleboard. 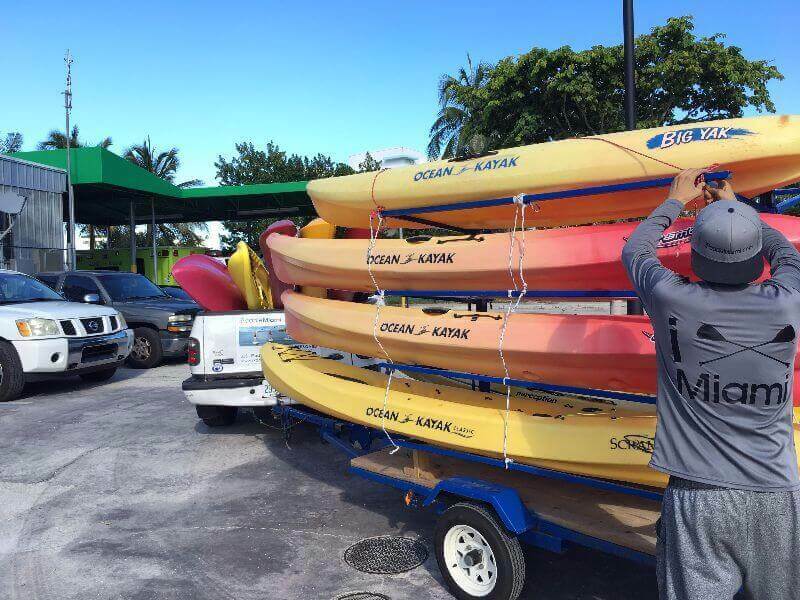 TiPaddle delivers standup paddleboards and kayaks to locations throughout South Florida. We maintain a growing fleet of trailers and drivers to meet delivery demand. Choose from one of our pre-vetted locations or propose your own. Call (305) iPaddle or book your delivery online. iPaddle stocks high-viz kayak paddles that are designed to help us (and other boat traffic) see you during night tours, events and rentals. We always say that “NO EXPERIENCE IS NECESSARY” when members and clients paddle with us for the first time. This is because we provide every paddlers with a safety briefing, paddle instruction and include features like paddles with color-coded areas to indicate where you should position your hands. iPaddle includes several high-visibility vests for you to use on night tours, rentals and events. The reflective taping on these vests light up brightly whenever artificial light (like spot-lights, boat head lamps, photo flashes etc) bounces off of them at night. 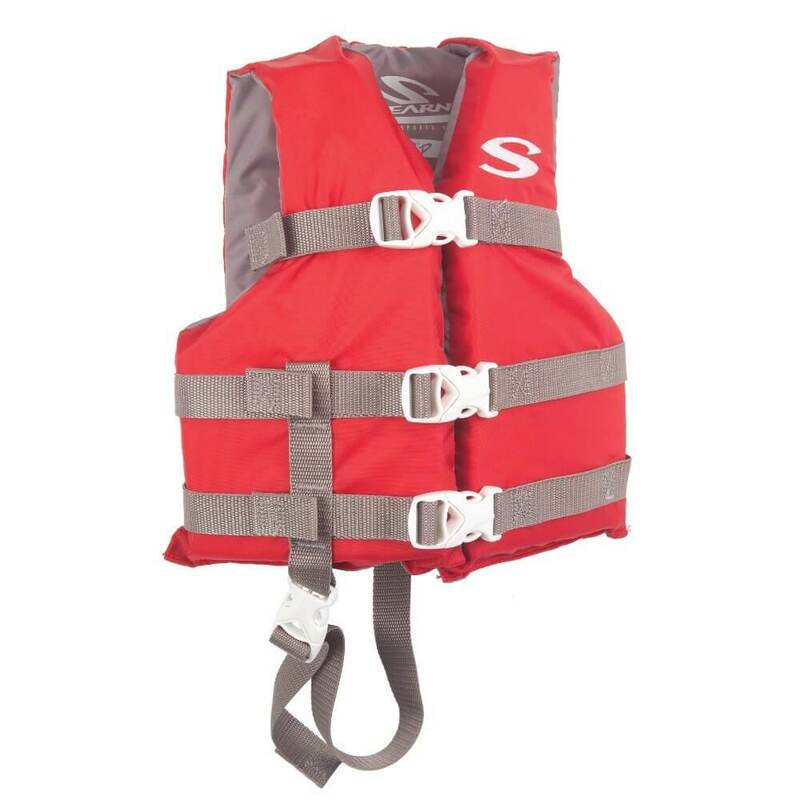 When you rent, tour or attend an event on the water with iPaddle, you are issued a high quality US Coast Guard approved life vest and asked to wear it for the duration of your rental. In daylight with adequate visibility we would typically provide you with our standard life vest that has minimal reflective features. 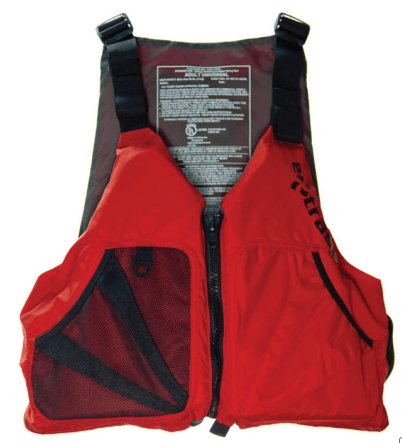 Instead, these vests are provided in high-visibilty colors like red or yellow to ensure that they are seen by other boaters during the day. When you decide to go out on the water with your canine friend, iPaddle ensures that they are also adequately suited-up for the session. If you are planning to paddle with a dog aboard your kayak or paddleboard, let us know when you make your booking. That way we can ensure to have a dog vest ready along side yours when you arrive. 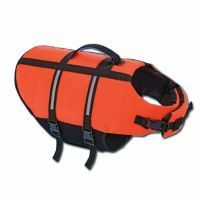 In accordance with Federal Guidelines and best practice, we have life vests available for a variety of different body types. This is expecially important for our member’s and client’s children. When you paddle with a small child in group, we ensure that they are fitted with an adequately sized and proportioned life vest. 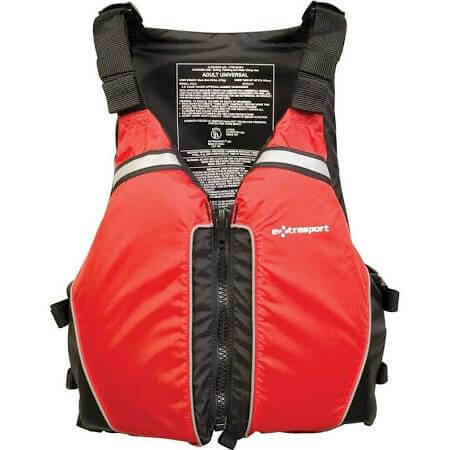 Depending on their size, the vest may have a through the legs strap (for easy retrieval of the child from the water) and other safgety features. These lights illuminate our fleet of kayaks and paddleboards during our night tours, sunset and night rentals and evening events. These light do more than help us comply with Federal paddlecraft regulations for operating at night. They can be removed from the boat to light the way along the path when we visit the island with our clients. Each light floats in water and is also completely waterproof!